The benefits of meditation can come in many shapes and sizes. With the increasing awareness of the health benefits of mindfulness, meditation and yoga comes the practice of self-discipline and redirection of thoughts. 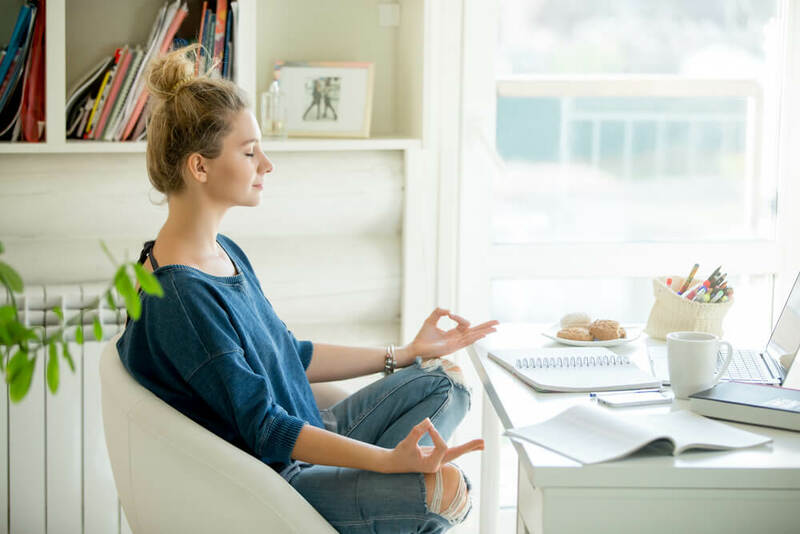 Many people rave about the numerous meditation health effects and how they can help you increase awareness of yourself and your surrounding as well as reduce stress. Here we’re going to touch on the health benefits of meditation, as well as a brief introduction to being mindful. Learn more about meditation, and its health benefits here. Mindfulness, as stated on Mindful.org is a basic human ability to be fully present and aware of where you are and what you are doing. Mindfulness is easy to access when practiced on a daily basis. This means that whenever you are aware of what you’re doing and directly experiencing through your senses, you’re being mindful. Mindful.org states that when you’re training yourself to be mindful, you’re remodeling the physical structure of your brain. Mindfulness goes hand in hand with meditation and ultimately go together to create numerous health benefits for the body and the mind. Meditation is a special place where you can venture into the vastness of your mind allowing you to better experience sensations, emotions and thoughts. Meditation is how you can train yourself in awareness and allowing yourself to get a sense of perspective through observing your thoughts without judgement. The process of meditation allows you to hopefully understand yourself and your actions better. Meditation health effects both the spirit and the body. Here we will go through a list of benefits of mediation and allow you to decide for yourself weather mediation may be something that interests you. Being able to reduce stress through mediation is one of the reasons it has become so popular. Meditation can help release inflammation promoting chemicals in your body allowing yourself you sleep better as well as lower your blood pressure. Meditation reduces stress, so it can also help those with anxiety. Meditation paired with yoga h as shown to be extremely effective in controlling anxiety due to both the physical activity and the meditative practice. Meditation can help those who practice have a more positive outlook on life. The same inflammation promoting chemicals can lead to depression and changes in mood. Meditation allows your body to free it’s self of these harmful chemicals allowing you to see yourself in a new light. When you spend time in your thoughts, you are able to develop a better understanding of who you are and how you can be your best self. When you spend time gaining awareness of yourself, you’re better able to move towards healthy patterns and habits. When you practice meditation you are training your brain to calm itself. This also can help when it comes to attention span on a daily basis. Starting off small can make a large impact in both your memory and ability to maintain focus on the task at hand. Meditation allows you to learn how to calm your thoughts and techniques to control your overactive thoughts. This means that ultimately you will be able to train yourself and your mind to be calm and allow yourself to fall asleep more quickly. Meditation is something that you must learn to do, as any other skill. There is no perfect way to meditate and don’t feel discourage if your focus or mind wanders to other places. The mind is a strange place and it may take you a while to get comfortable with your personal mind. Meditation takes work and consistent practice reach a place where you feel like you’re in control of yourself and your thoughts.